Perth Removalists | Removalists in Perth - call Hire A Mover! 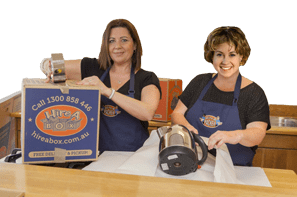 Looking for Perth removalists to help with your move? Choose Hire A Mover, our trusted removals partner company! we guarantee an efficient move! Hire A Mover is our trusted removals partner company, helping clients with their moving needs. Hire A Mover has reliable and efficient removalists in Perth who are chosen to ensure our clients have the best moving experience! We understand how daunting it can be to move home or office. The best way to ensure your belongings are transported with the upmost care is to have professional removalists in Perth who can help you move with minimum fuss. The team in Hire A Mover are trusted office and furniture removalists in Perth who will relocate your business or home at your convenience. Speed, efficiency and safety are important considerations when moving into a new home or office. Not only do the removalists in Perth ensure a quick and efficient move, but they also ensure that your goods are transported safely. Call Hire A Mover for a stress-free move on 1300 358 700, Monday to Friday, 8.30am to 5pm EST, to discuss on any enquiries you have or to simply get a quote.